If you are worried about hearing loss right now, I want you to read this article. Because there are things that you need to understand. 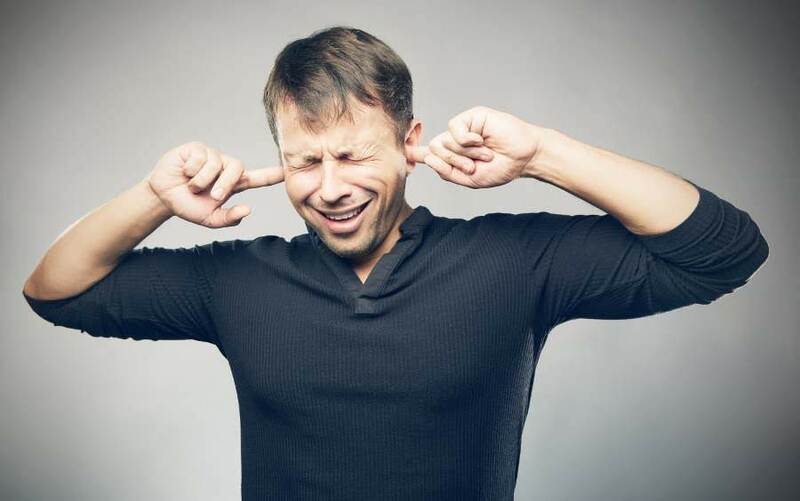 A recent article by Joe Fleming of Vive Health really got me thinking about hearing loss, the early stages and taking action. As I said in the preface to that article, it is easy for professionals to forget the impact of hearing loss on the individual. I strive to understand the emotional impact as part of my consultation. Often though, when writing about hearing loss I don't explore it. The article moved me to sit down and explore hearing loss and its effect on people. Not just the everyday hum-drum effects but also the deeper emotional effects wrought by hearing loss. I think it is because there are a lot of outdated notions and ideas about hearing loss that are causing pain to many people. That pain is self-induced, however, it doesn't take away from the fact that it is suffering that does not need to occur. The concept is simple, why suffer when you don't need to? Let's talk about the problems that hearing loss brings. More importantly, what happens at a personal level for people with hearing loss. So take your fingers out of your ears and listen up, you will thank me for it later. Dad, I said it twice! No, you didn't, I didn't hear you! I did! Many people can identify with that scenario, happens every day. It usually leads to frustration for both parties involved in the conversation. Woah, Dad, the TV is so loud, turn it down. Are You Deaf! Again, another everyday occurrence. What do you do? Turn the TV down and not hear clearly? Or leave the volume high and face the ire of the family? No matter what course of action you take, it usually leads to frustration. Honey, what did he say? Honey, what did she say? Honey, what did they say? Damn it if they spoke clearly I would have no problems understanding them! Your wife or husband becomes your interpreter. Yes, more frustration. Sorry, what did you say? I said .... oh never mind! Frustration squared. You Are Driving Them Mad. You Are Driving Yourself Mad Of Course But You Are Really Driving Them Mad! I can go on and on because there are many more situations that happen on a day to day basis that lead to frustration. There isn't much point because I want to talk about the effect of that frustration, not endlessly harp on about the situations. Life is about the joy of connecting, or at least it is for me. We are by nature social animals, social connection stimulates us. Social connection is important for our emotional health. In fact, many of us gauge ourselves by social connection. It is the one thing that qualifies who we are. Reinforces us as people. Social connection is one of the first things to fall prey to hearing loss. It is difficult to engage if you can't follow the conversation. People find it difficult to engage you if you aren't following what they have said. People find it tiresome to keep repeating things. You might think if they cared they would just repeat it clearly so that you can understand. I would point out that they might think that if you cared, you might do something about your hearing! Touche as they say. That frustration builds and builds, bringing stress to your life. Social situations become stressful situations. Our natural reaction to stressful situations is to stay away from them. Our social life shrinks, we become isolated. Isolation is further driven by stress and frustration has now turned to anger. That shrinking social situation can lead to depression. Now you are frustrated, angry and depressed. A recipe for happy family relations if I ever heard one. Ignore The Wheedling Voice in Your Head! Of course, all during this process you have had the sneaking suspicion. That filthy vile torment of the voice in your head saying "it's old age! ", "you are getting old". You know that wheedling voice, you have heard it before during your life. It's the one that used to say "you won't be able to". Most of us know that voice well. Most of us just ignored it and soared in the joy of proving it wrong. You have ignored it in the past, I have no doubt you did. You should ignore it now. Because like then, it is lying to you. Such damn hogwash, rubbish and other words I can't print. Hearing loss is not a sign of age, it is not a sign of infirmity. It is not a sign that you are past your best. It just is! It occurs, it occurs at any time of life. It occurs when we get older, sometimes it occurs earlier because of health or noise. It just is. Lying to yourself about it and the impact that it has on you is when things go wrong. The lies we tell ourselves are the worst. They are the lies that will often hurt us most. In the case of hearing loss, that could not be truer. People are mumbling, no they aren't you can't hear them properly you can't hear them properly. People just do not speak clearly any longer, yes they do. I find socialising such a drag, no you don't you don't go because it embarrasses you. Again, let us not labour the point here. I will ask you one question, in the next two examples, who do you think looks old and infirm? 1. A man or woman who still loves the joy of connecting. They dealt with their hearing loss so that they could continue to live an active and healthy social life. So that they could watch the TV with their family together. So that they could communicate easily with the people around them. So that they could simply enjoy life. 2. A man or woman who refuses to acknowledge there is a problem. Who muddles through by saying what, huh, can you repeat that? A person who often gives the wrong answers to questions. A person who is often tired and angry. A person who eventually stops engaging. I think I know the answer, don't bother sending it in on a postcard. The real sign of being foolish and old is being person number two. If in fact, you are person number two, while I feel empathy for you, I am not here to encourage your delusion. Nobody is being fooled, get over it. I want to leave you with one simple message. Your hearing is important to your joy in life. Don't let outdated ideas and that damn wheedling voice in your head steal your joy. Go get your hearing tested, if you have a hearing loss, get it treated. Thank me later.